As Mompreneurs we’re always looking for ways to market our goods and services. Here’s a novel way that can be both fun and effective – Tradeshows! Especially if you have fascinating products to sell. I think that almost all our Mom Inventors have mentioned Tradeshows as one of their most important routes to market, especially at the beginning when they were establishing their brand. And I know that the Sydney Tradeshow, specifically, is a firm favourite of one of our featured Mompreneurs, Julia Christie, Inventor of The Nail Snail. Here’s Julia at the PCB Expo at Sydney Olympic Park. Without further ado, here are some unique trade show ideas to help you market your brilliant wares more effectively. 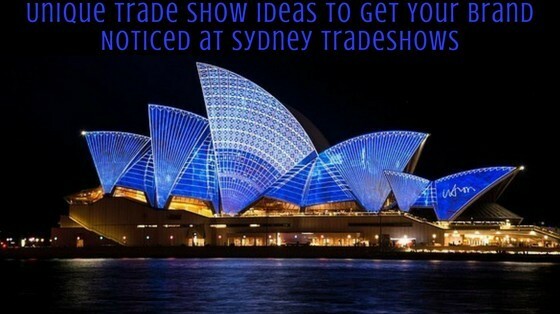 Sydney tradeshows are an effective way to market your products and services directly to your potential consumers. But you aren’t the only company that attends. Companies pull out all the stops to make their stall flashier than the next. So how can you stand out among the crowd and make attending the show effective for your marketing purposes? Here are some tips that can help you set up an attractive tradeshow display in Sydney. Before you begin your preparations for the tradeshow, get an industry expert on board, and take their advice on how your brand is currently doing in the market. Companies like brandmatters.com.au can provide an independent and unbiased view of your brand. They can help you understand your consumer needs better, and using their suggestions, you can promote your brand in a more effective way. And by the way, you shouldn’t only be promising your brand. You also have to promote the fact that you would be attending the tradeshow. Even at tradeshows, location matters, so much so that organisers may often charge extra bucks for the prime spot. If you can afford it, then get a booth at a prime location. And remember, they are often booked quickly, so you will have to act fast. Just like location, looks also matter, and buyers are generally more attracted towards good looking booths. The appearance is what can make participants stop or simply just walk by. Use a bright colour scheme, aligned with your brand image. Make sure that lighting is optimal, and your marketing messages are clear, and visible from all directions. Custom merchandise is a great way to get your word out, but rather than giving away the usual mugs and pens, think of something unusual, something that you don’t often see in Sydney. Companies like customgear.com.au offer a wide range of custom merchandise, so you do have a lot of options to choose from such as sunglasses, headphones and even Rubik’s cubes. You don’t want consumers pass by your booth at Sydney tradeshows. You want them to stop, take notice of your brand, and then remember you for long. Sway away form the general marketing messages because they have now kind of become dull in Sydney. Instead, revamp your consumer communication and give it a humorous touch, something that gets people talking about your brand, and makes them pass on your name in social circles. If you can display your products or services in an interactive manner, your potential consumers will stay at your booth, garnering attention of other participants as well. For instance, you could set up self service kiosks, touch screens or something else along the same lines. 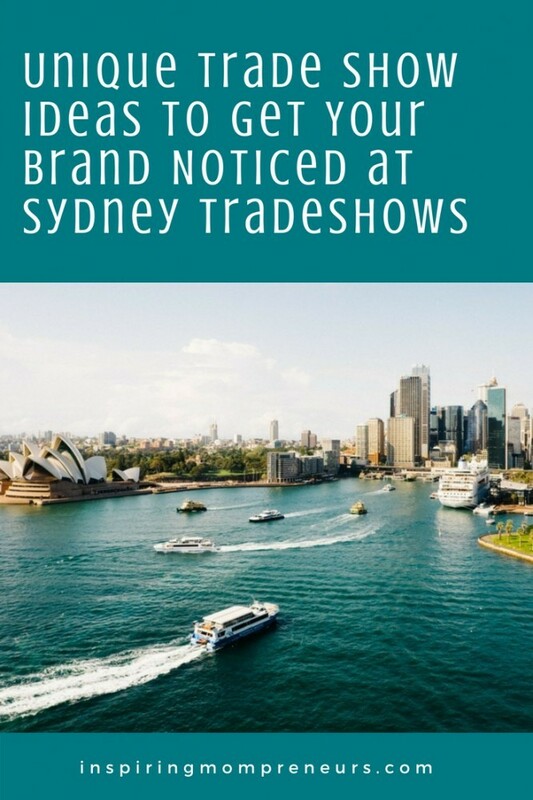 Have you had any experience at Sydney Trade Shows? How have Trade Shows helped you expand your reach? I’d love to hear all about your experiences in the comments below.